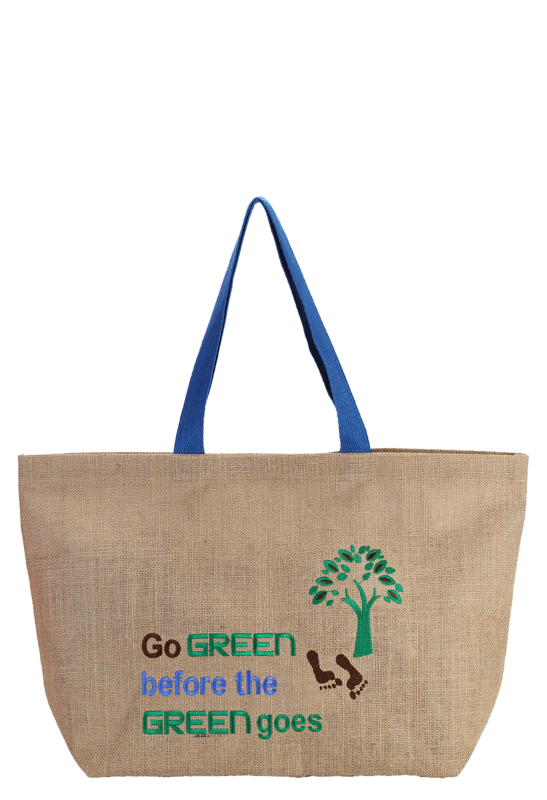 This is Jute made trendy promotional bag with a clean, innovative graphic design and message printed on it. 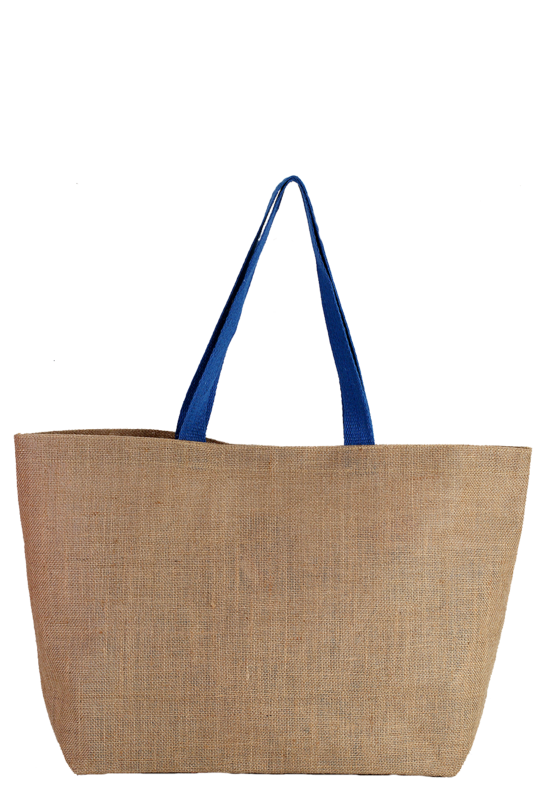 It has wide blue jute handles, which complements the overall design of the bags. 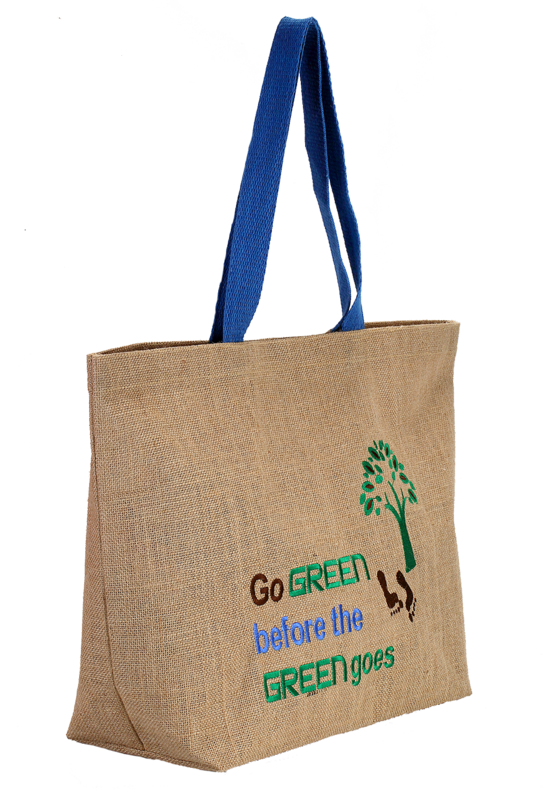 This bag is very handy and easy to carry anywhere. It is spacious with 35.5cm height, 55cm width and 15cm depth, thus you can put your belongings in safety.